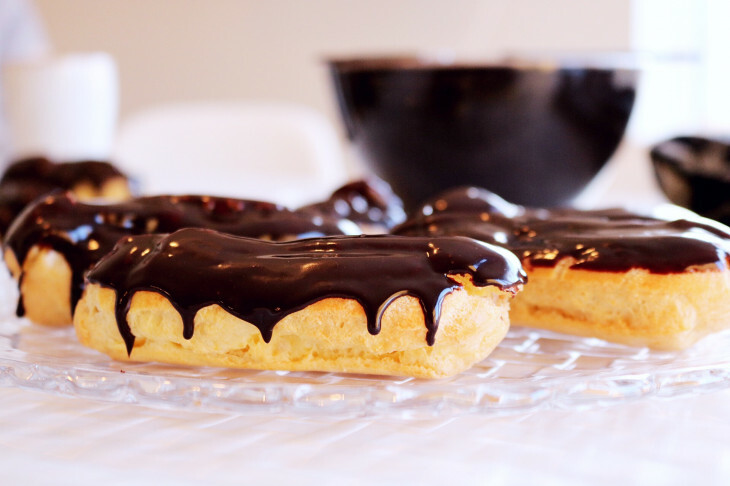 Eclair is a French pastry of petits choux dough filled with cream. 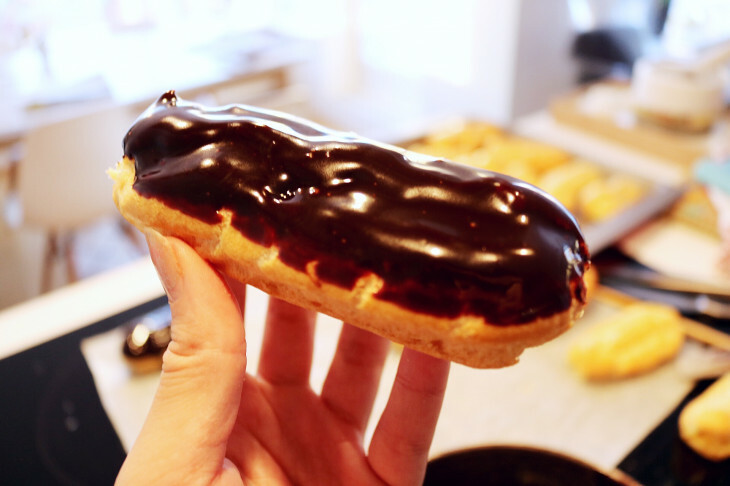 Can be either chocolate cream, vanilla cream or whatever you like. 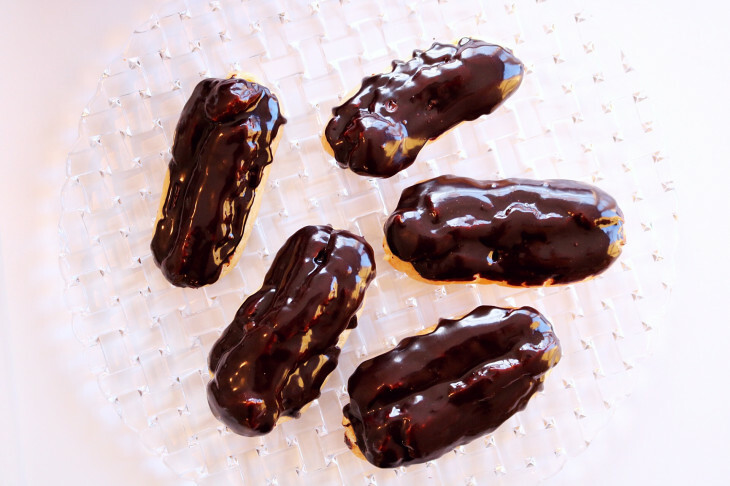 The eclairs can then be covered with a delicious glaze and also decorated with sprinkles or nuts. Add all the ingredients for the custard into a large saucepan with no heat. 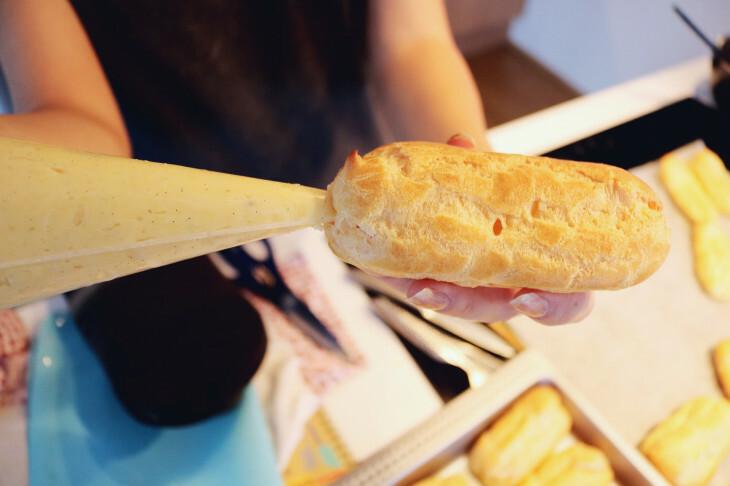 Whisk everything together until smooth. Place over medium heat and cook, stir until the custard thickens. 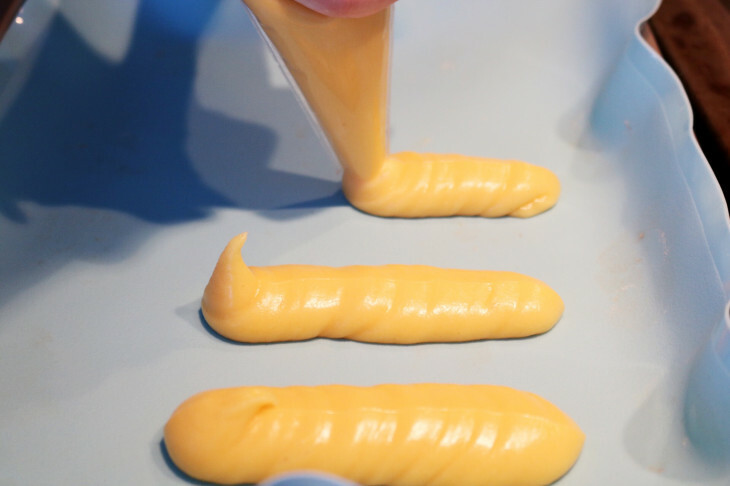 Strain the custard into a bowl and cover with plastic wrap. Let the foil touch the surface of the cream. Let rest in the fridge. Prepare two sheets with parchment paper and set aside. Place the water, butter and salt in a medium saucepan and cook over medium-low heat. Remove the pan from the heat. Add the flour all at once and stir well with a wooden spoon until it forms a paste. Replace the pan on medium-low heat and stirring constantly for 2 minutes. Scrape the dough into a large bowl. Stir the eggs into the batter, one at a time until it is well mixed. Pipe the dough on a baking sheet, about 10 cm long sausages. Make sure to leave some space between. Bake for 10 minutes first, then lower the heat to 170 degrees and bake for about 20-25 minutes, depending on the oven. They must be baked completely otherwise they will sink. Let cool completely before filling them with the vanilla cream. Chop the chocolate and place in a bowl. Heat the cream in a small saucepan over medium heat until it almost comes to a boil. Pour the cream over the chocolate and let sit for a minute. Stir until the chocolate has melted. Let cool. When ready to assemble: Using a piping bag fill each shell. 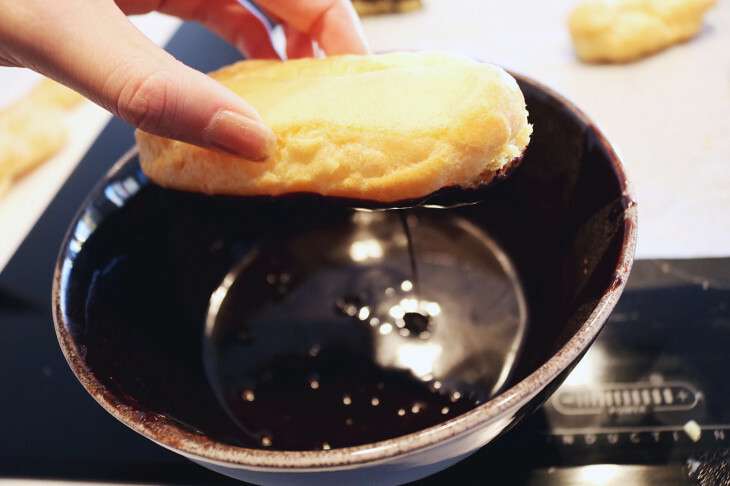 Make a small hole on both sides and press in the cream from both sides. 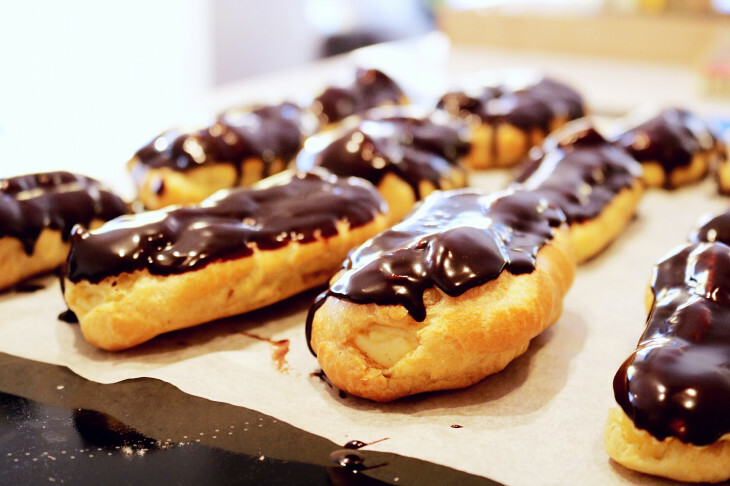 Dip the upper side of the pastries in the melted chocolate or spoon over the chocolate.Let the chocolate set slightly before serving.